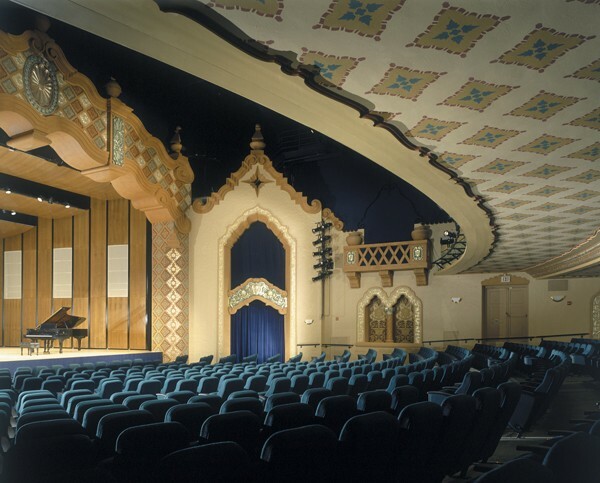 The “wonder theatre of the Southwest,” as the Lensic Performing Arts Center, Santa Fe, New Mexico was known in the early days, was fortunate to persevere during the latter half of the twentieth century, when many atmospheric theatres were lost. 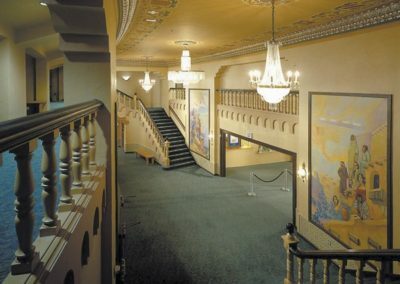 Nevertheless, in recent years, it was recognized that the theatre required renovation, not only to accommodate larger-scale performances, but also to restore the aged decorative scheme. 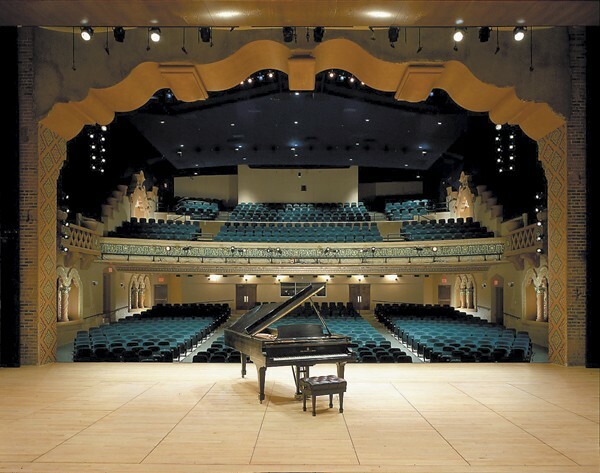 After two years of fundraising, the 1931 theatre’s stage depth was increased, the orchestra pit was enlarged, and a fly loft for scenery was added, among other updates to improve patron comfort and aesthetics. 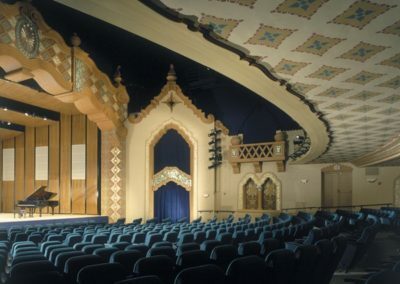 Artisans from Conrad Schmitt Studios restored plaster and renewed the worn but distinctive decoration of the Moorish/Spanish Renaissance theatre. 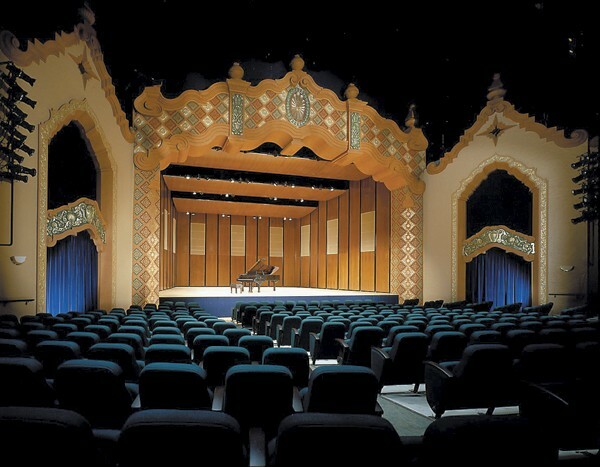 Stenciling, gilding and glazing were used to restore the heraldic shields of the Santa Fe founding families in the lobby and the giant squash blossom pendant above the proscenium. 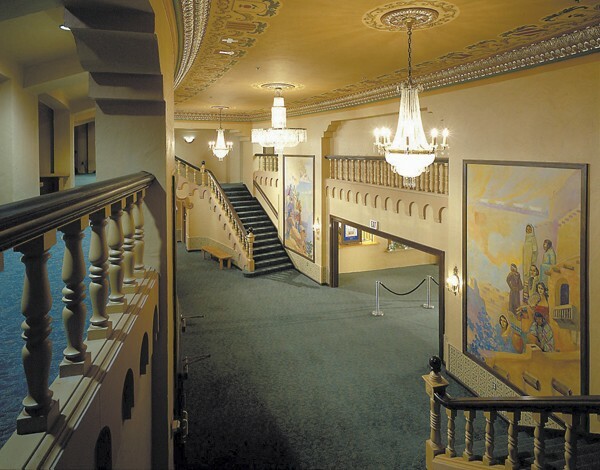 Studio artists conserved the murals depicting the settlement of Santa Fe, returning them to their original splendor. 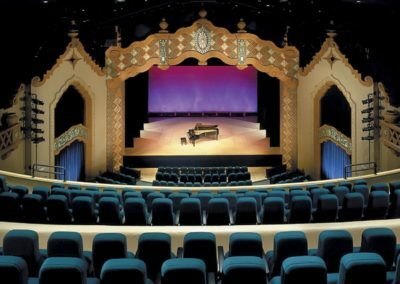 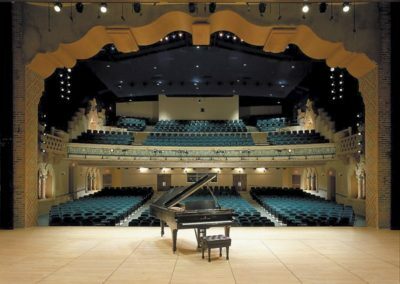 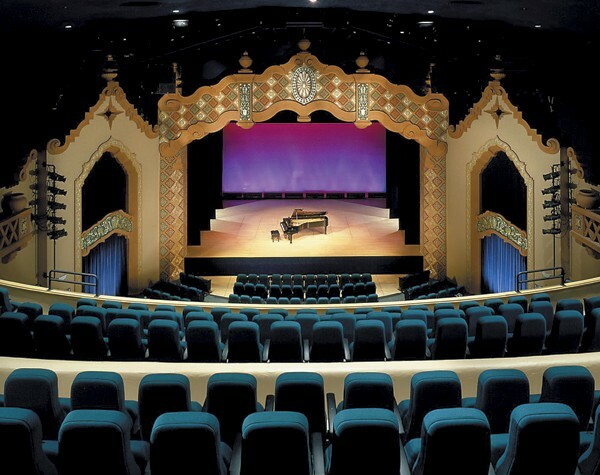 The restoration of the Lensic Performing Arts Center was featured in the New York Times on April 17, 2001, and the theatre celebrated its grand reopening on April 22.